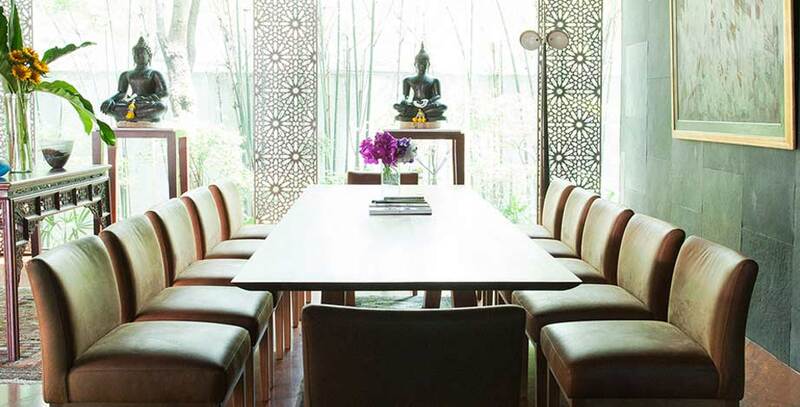 Our lounge can be reserved for a private use such as meetings and functions. For in-house guests, the complimentary private use up to 3 hours is available upon request (subject to availability). FACILITIES: Meeting table for up to 12 people. & Screen, Flip chart are available upon request. PRICING: Half day use starts from 5,000 THB++ / Full day use starts from 10,000 THB++. The rates include coffee, tea, soft drinks, Wifi internet connection. OPTIONS: Coffee break with snacks starts from 350THB++ per person. Lunch break with French 4-course lunch starts from 550THB++ per person. For private dinner or evening functions, please contact us.